Do you want to add next and previous buttons to your image galleries? The Envira Gallery WordPress plugin has some beautiful image gallery themes with forward and back buttons. In this guide, we will show you how to create a WordPress image gallery with next and previous buttons. By default, WordPress does not allow you to create an image gallery with previous and next buttons. To add details like this to your gallery, you’ll need a plugin like Envira. 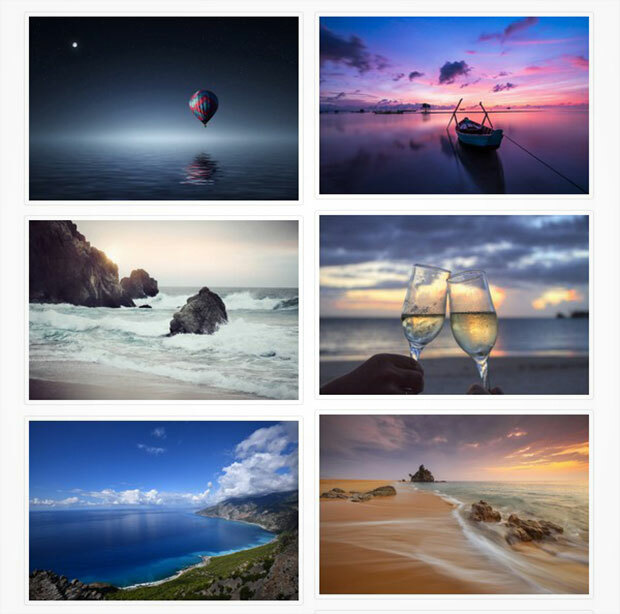 After following this tutorial, you’ll have a beautiful image gallery that looks something like this (click on an image to see lightbox view with next/previous buttons). 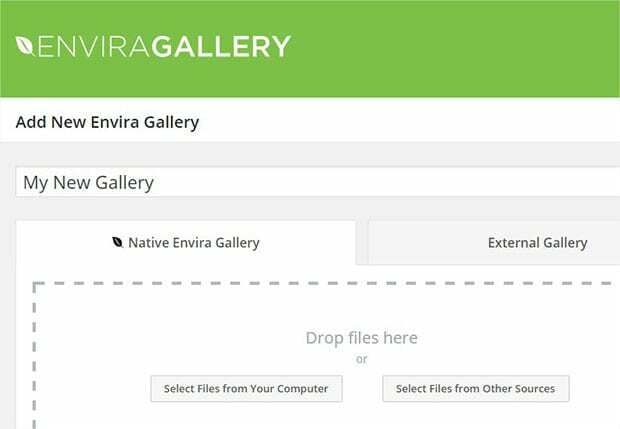 You may want to check out how to install Envira Gallery on your site for more details. 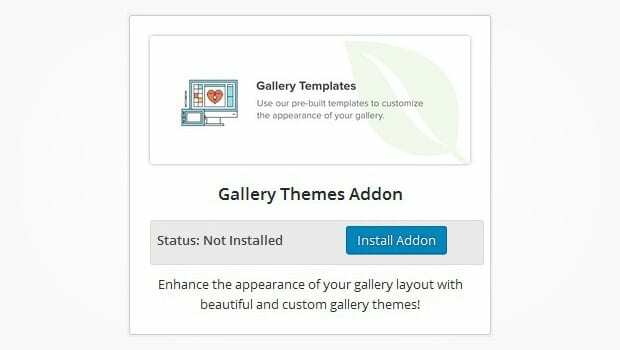 After activating Envira, you can go to Envira Gallery » Addons to install and activate the Gallery Themes Addon. 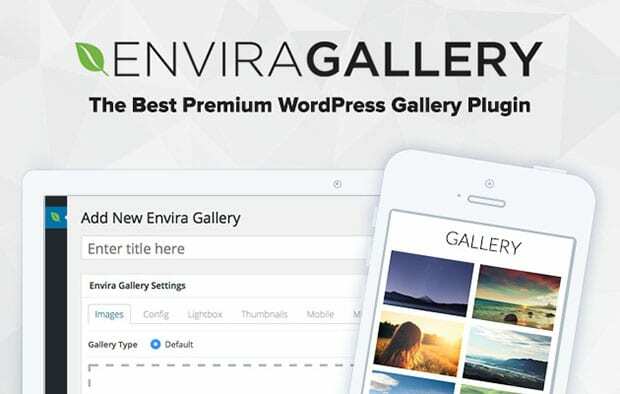 Next, go to Envira Gallery » Add New from your WordPress backend. Add a title for your image gallery, and drop your images into the Native Envira Gallery section. 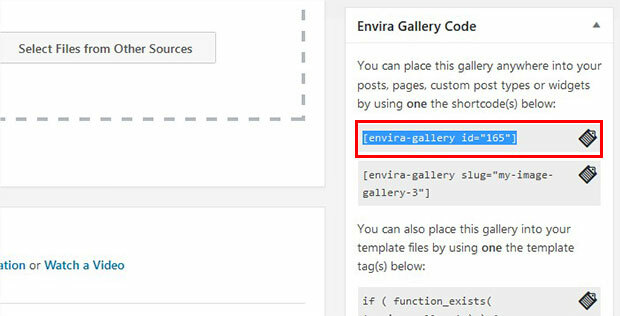 To learn more about creating image galleries with Envira, check out our guide on how to create an image gallery with thumbnails in WordPress. Now, go ahead and scroll down to the Config tab. 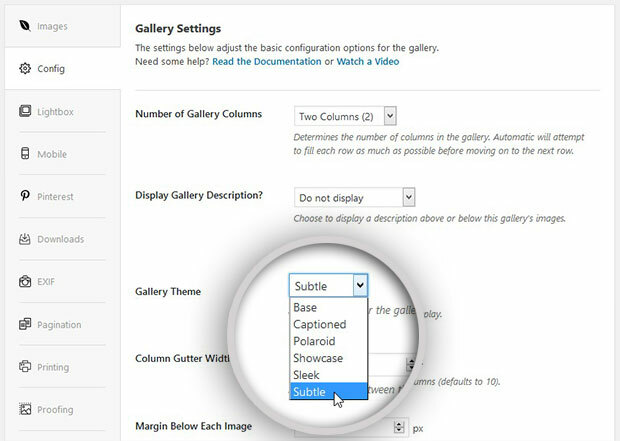 In the Gallery Themes dropdown, simply select Subtle theme. This theme comes with forward and back buttons built in. Once you are happy with your settings, click on the Publish button. You’ll see the shortcode and some other information in the Envira Code Widget, just below the Publish widget on the right side of your screen. Copy the shortcode from here to use in the next step for displaying your image gallery. Go ahead and edit an existing post or page, or add a new one from Posts/Pages » Add New. In the visual editor, you should paste the shortcode that your copied earlier. Make sure to update the post to save your changes. That’s all. Now your image gallery with forward and back buttons is live on your site. 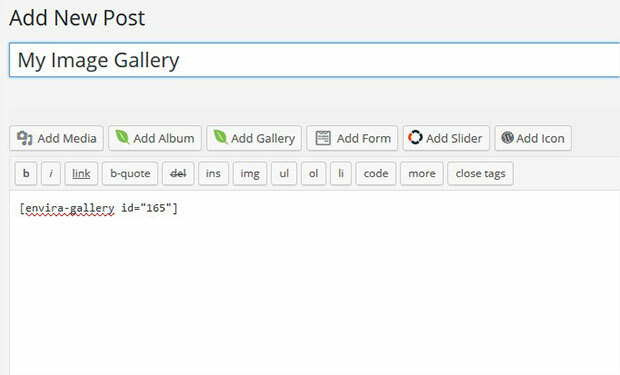 We hope this article has helped you to learn how to create a WordPress image gallery with next and previous buttons. You may also want to check out our guide on how to create a masonry image gallery in WordPress.